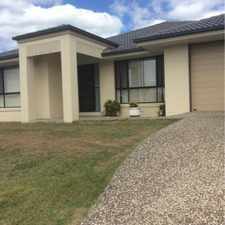 45 MacDonald Drive is a 19 minute walk from the CABR Caboolture line - Brisbane City, the CACL Caboolture line - Cleveland line and the CAIP Caboolture line - Ipswich line at the Burpengary station, platform 1 stop. This apartment is in the Narangba neighborhood in Brisbane. 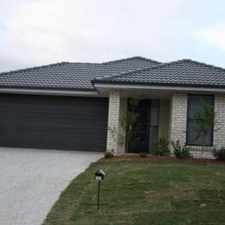 Nearby parks include Firewheel Park, Billabong Park and Narangba Valley Town Square. 45 MacDonald Drive has a Walk Score of 10 out of 100. This location is a Car-Dependent neighborhood so almost all errands require a car. Stylish design, combined with substantial living space, perfectly define this attractive 4 bedroom plus study home in Norfolk Lakes. Featuring large formal lounge and dining at the front of the home and spacious open plan kitchen, dining and family room at the rear. An ideal space for the whole family to enjoy together. The 4 bedrooms all have built ins and ceiling fans, the master with walk in robe and ensuite. The double garage has added built in storage. The massive 11m x 5m covered patio ensures entertainment is perfect for all weather conditions. 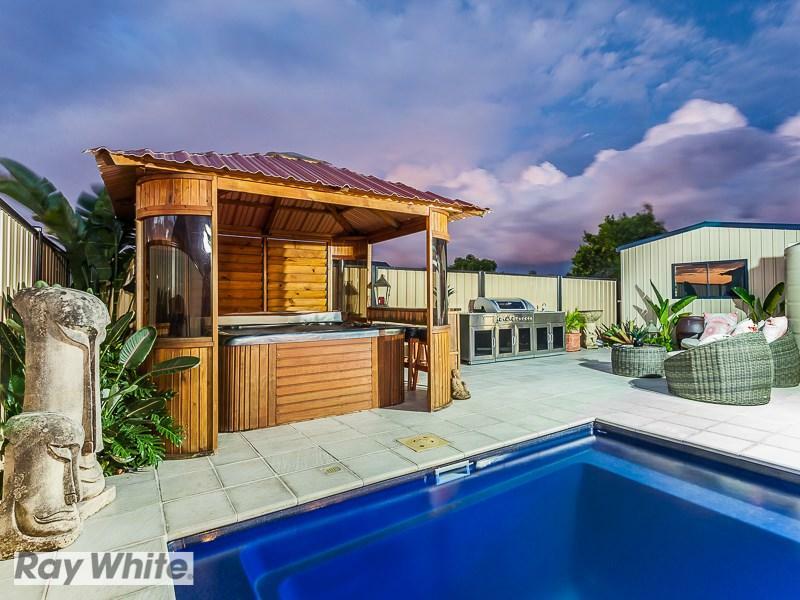 Additional features include 6ft Colorbond fencing, 5000ltr water tank, solar hot water system to save on your electricity costs, security screens throughout, alarm system and garden shed. Special features are: Bali Hut,side access, outdoor living at it's best, inground pool for those hot summer nights. This is a must see to appreciate this beautiful home. Explore how far you can travel by car, bus, bike and foot from 45 MacDonald Drive. 45 MacDonald Drive has some transit which means a few nearby public transportation options. View all Narangba apartments on a map. 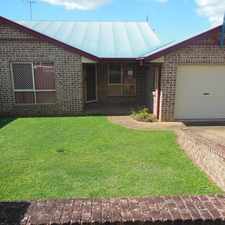 GREAT HOME IN THE "RISE ESTATE"
45 MacDonald Drive is in the Narangba neighborhood. Narangba is the 248th most walkable neighborhood in Brisbane with a neighborhood Walk Score of 28. Modern Home - Great Price - What a location! Fantastic 2 acreage property, suitable for dual living !! BRAND NEW QUALITY FIXTURES &amp; FITTINGS + AIR CON! Ducted Air/ Side Access/ Modern Design!!!!! IN GROUND POOL! LUXURY HOME! WHAT A LOCATION - MODERN 3 BED TOWNHOUSE - QUIET STREET! Fantastic Home in Family Friendly Location! 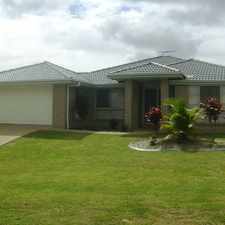 BRICK LOW SET MORETON DOWNS ESTATE!!! LOW MAINTENANCE, WELL PRESENTED HOME! HUGE 834SQM LOT OPPOSITE LAKE - 4 BED, 4 LIVING! WOW Factor - This Home Has It!!! SPACIOUS HOME WITH SPECTACULAR VIEWS!!!! DUAL LIVING - SO CLOSE TO THE WATER!!!! RENOVATED BEACH HOUSE - WALK TO WATER! MODERN 4 BEDROOM IN ROTHWELL!! Neat and tidy home in handy Location! Freshly renovated home in quiet area!